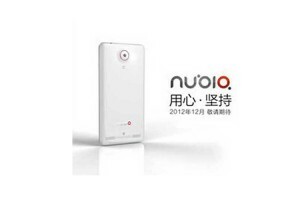 ZTE'S Nubia Family: Whats that?? To stand neck-to-neck with the Huawei's latest 5 inch-ed Ascend D2 alphabet, ZTE officially announces its new Nubia high-end smartphone lineup and the quad-core ZTE Z5 is the first smartphone on the list. We have no idea regarding from where the word Nubia name comes from – It stands for “cloudy” in Latin or the ancient Egyptian meaning of the word is “gold”. There aren't much specs of the Z5 which are revealed. But, yeah the Z5 does seem to be exciting. The Z5 will sport a 5-inch display (resolution unknown), powered by a quad-core processor, 13-megapixel camera and most curiously will carry “Italian” design. Chances are it will run on Android. It will hit the Chinese market in December while the rest of the world will get to see it in more detail at CES in January 2013. 0 Respones to "ZTE'S Nubia Family: Whats that??"